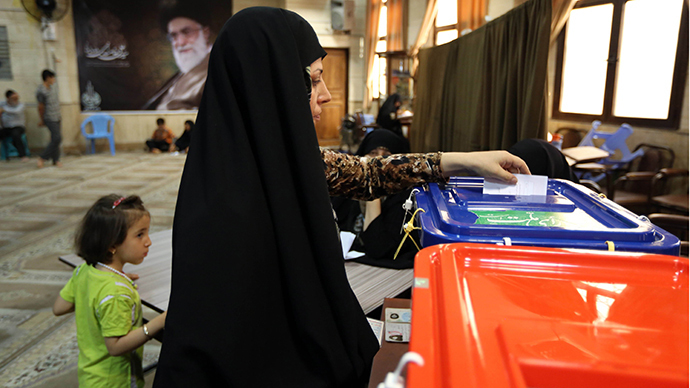 Sixty thousand polling stations have closed across Iran as the nation cast ballots to choose its new president. The election comes as the country is torn by the severe financial crisis and pressured by the international community over its nuclear program. “We don’t give a damn [what they think],” he stressed. 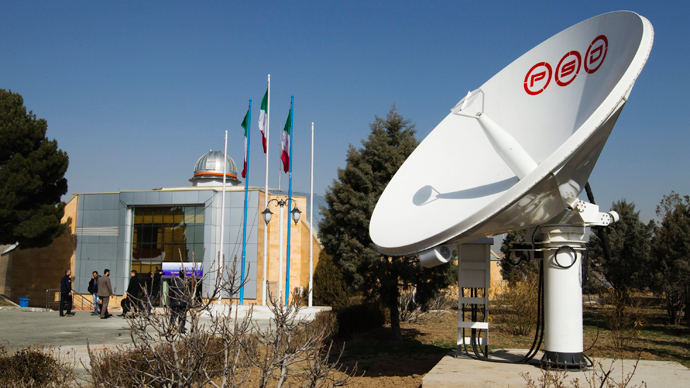 At the end of May, US Secretary of State John Kerry questioned the credibility of the Iranian presidential election, criticizing the disqualification of a few candidates and accusing Tehran of disrupting internet access. RT’s Maria Finoshina is now at the heart of the events, tweeting about what’s happening on the ground. Khamenei kept his favorite for the new president a secret. "Among those running ... I had someone in mind whom I chose. I haven't told anyone [of my vote]. Even those close to me like my family and children don't know who I voted for," he said. RT has also managed to obtain a brochure which indicates the qualities of an ideal leader: he should ‘believe in God’, be able to ‘stand against enemies’, and prepare a plan to save the country’s economy. There are six candidates to choose from for Iran’s first new president in eight years. Saeed Jalili, 47, from the Front of Islamic Revolution Stability, is considered the favorite in the election. 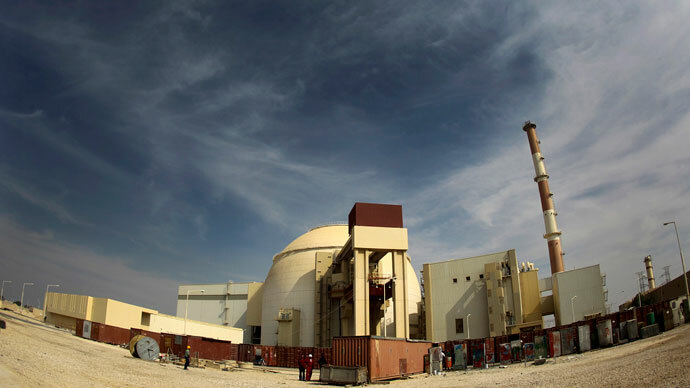 The candidate holds middle ground between conservative and reformist vies, and has been Iran’s chief nuclear negotiator since 2007. Ali Akbar Velayati, 67, represents the conservative Islamic Coalition Party and is said to be Jalili’s main rival in the race. He used to be minister of foreign affairs and is currently the foreign affairs advisor to Khamenei. Polls opened at 03:30 GMT, according to state media. Voting, initially expected to last for 10 hours, has been extended four times, prolonging elections till 23:00 local time. There are more than 50 million Iranians eligible to vote, 1.6 million of them first-time voters. Iran is saying farewell to the era of Mahmoud Ahmadinejad being in power. On the one hand, the president attempted to unite the country, confronting tough sanctions from the international community, aimed at crippling the country’s nuclear program. “The objective is to make Ahmadinejad a villain. He stands for universal rights where every country would have an equal say, but some powers want nothing but dominance - and they focused on blackening the name of our president,” one of the outgoing president’s advisors, Bahid Sharif Sadeh, indicated to RT. On the other hand, Ahmadinejad leaves the country’s stewardship amid an economic crisis. Akbar, a real estate businessman, measures the severity of it in terms of pizza, as he pointed out to RT. “If you compare the price [of pizza] - it increased by 100 percent since last year. We have no hope for the future - the economy is bad and it’s getting worse,” he says. Professor of international relations Mohammad Hassan Khani told RT the election is a major step for Iran’s democracy, both internally and in the eyes of the international community. He expected that the new leader would either be an Ahmadinejad loyalist or a president with a more moderate vision for the future of the country. 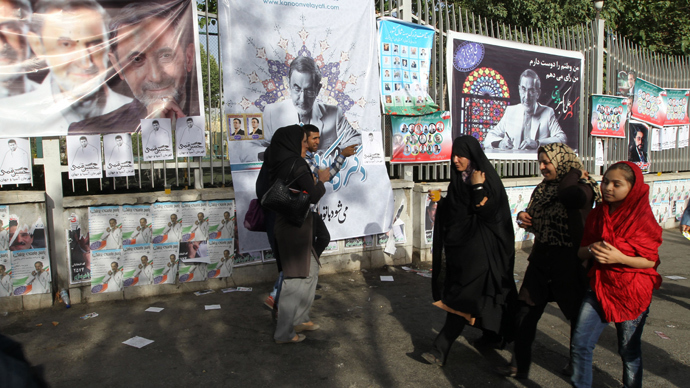 The elections have so far run much smoother than in 2009, when police and the Basij, an Iranian paramilitary group, violently cracked down on rallies where citizens voiced dissent against the re-elected Ahmadinejad. Khani said that, unlike the unrest four years ago, human rights groups will not find evidence police brutality or torture. Flynt and Hillary Mann Leverett, former National Security Council and State Department officials, told RT the new Iranian president, no matter his political affiliation, will assume office and try to right the economy, but not by attempting to lift US sanctions. 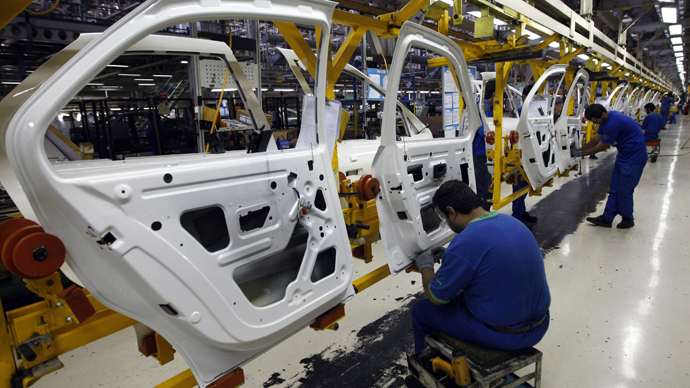 “Each of the candidates that has been put before the Iranian public has expressed real concern about the economy. I think you’re likely to see, whoever is the next president, put the economy to the top of their priority list, along with addressing sanctions,” said Hillary Mann Levertt. Western hopes were riding on Hassan Rouhani, who has been perceived as the candidate most open to working with foreign interests despite having a background in Iran’s nuclear program Rouhani, Levertt said, could look at his previous experience as a lesson, not an encouraging sign for Iran’s relations with the West. “Even the candidate who puts himself out as the moderate reformist, Hassan Rouhani, he was Iran’s chief nuclear negotiator in the early 2000s, the one who was responsible for suspending Iran’s nuclear enrichment to get something from the United States and the West,” she said.